I am running the latest server Version 3.0.5231.40980 with the new DLNA Server. 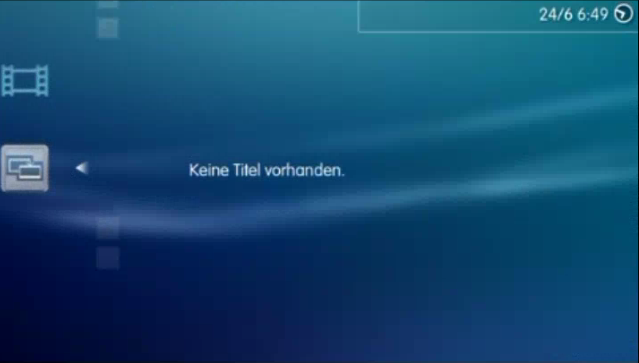 I tried streaming to my PS3 and while the MB server shows up in the menu, there is nothing but an error message when I select it. It specifically says "there are no titles", and a "DLNA Protocol error (7522)" shows up. Both my PC and Plex have no issue connecting through DLNA. I have been using Plex up until now but was excited to try MB. I have a attached the resulting log file after selecting the MB server icon. Has anyone else successfully connected through PS3? Is there something in the PS3 profile that can be adjusted? i would need to see the whole log, thanks. with information and testing on all available devices. I also have this issue. Running MB3 version 3.0.5234.17867 Linux server on Ubuntu 12.04. In addition, the PS3 will only see MB3 if I turn on "Blast Alive Messages" and set the timer to 30 seconds or less. Note that the PS3 can use Plex and UMS servers from the same machine, so it is not a network issue. Same issue here.dlna Protocol error. it there someone here who is comfortable debugging http requests with fiddler and can compare to something like UMS to see what we're doing wrong? Unfortunately these kinds of issues are device specific so we need someone with a ps3. thanks. Wondering if there was any update on this topic? For some reason I do not see the PS3 from within the Web Client nor do I see the server from the PS3. Any ideas? We're working on it. We'll try to fix it as soon as possible. How can I help? I have a PS3, Samsung TV´s and Sonos equipment... I can help out. I just need some coaching in debugging (it´s been some time since I did serious programming... but I know the ropes). I think there is an issue with the implementation of renewing UPNP Service subscribtions. I can properly SUBSCRIBE to the contentdirectory service but when I try to send a renew (SUBSCRIBE with headers SID and TIMEOUT) before the timeout runs out, I receive an error. The SID MUST have the uuid:xxxxxxxxx syntax which is what was received properly in the SID header from the original SUBSCRIBE action. However the renews seem to only work when the uuid: is removed, which is against the standard. Thanks, I will review that.